This doll loves to style. Includes: 14” Doll, hair dryer, flat iron, heart shaped mirror, comb, 2 head bands, assorted elastic hair ties, 2 hair extensions. 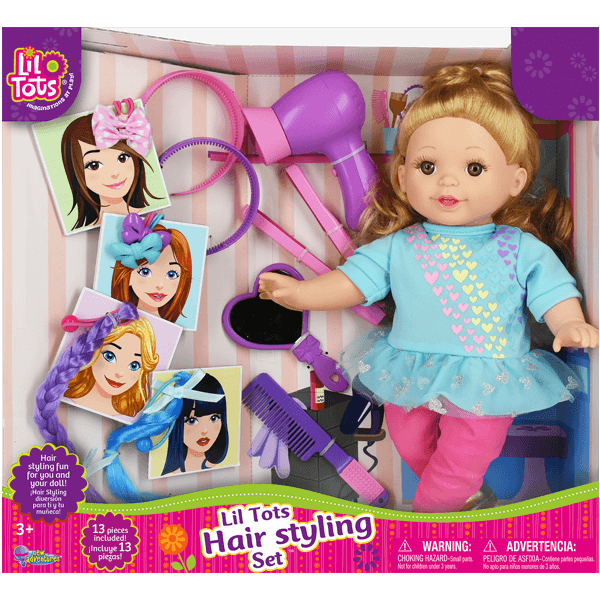 Everything needed to style your doll’s hair over and over again!